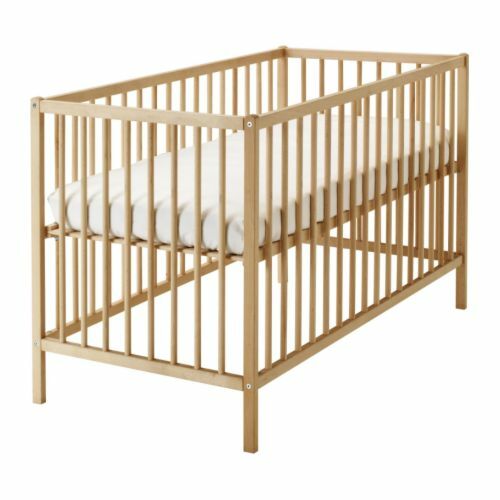 Recently, it came to my attention that it was time to get Baby Girl a crib. So I did what all Millennials do and went to — you guessed it — IKEA. So, Hubs and I (and my parents, because IKEA is the Midwest-person equivalent of Disneyland) donned our game faces and trekked to the land of plenty. There it was, in all its birch-y glory. Oh, just look at those clean lines. And only $35?! I’LL HAVE TEN, THANKS. After reloading with some tasty Swedish meatballs (what makes them Swedish, exactly? Is it their heritage? Their nationality? Their way of life? 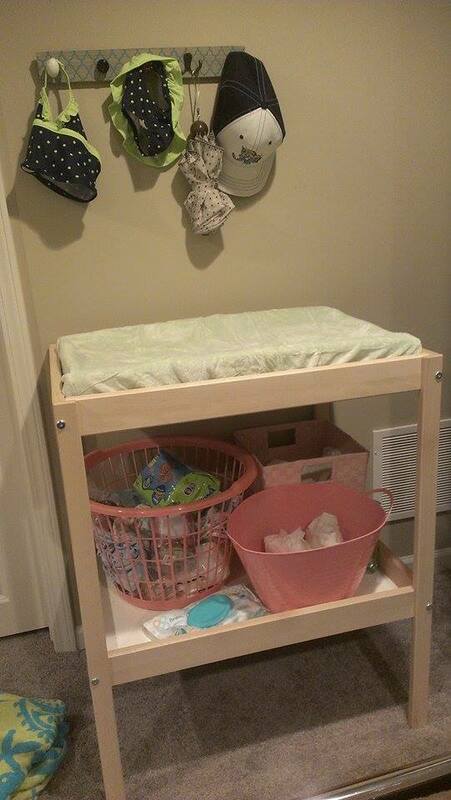 ), I realized – we don’t have a changing pad! It was about 5 inches too long, and stuck off the edges. After searching the internet (YAY, INTERNET!) 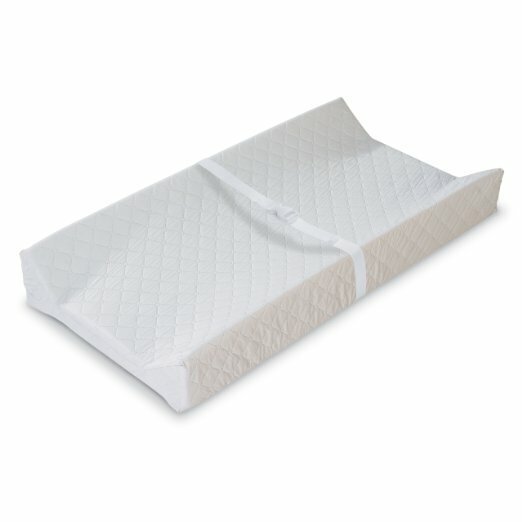 I found this tutorial to cut the changing pad to the desired length. Basically, I (with the help of my trusty and oh-sew knowledgeable mother) cut the side off, cut the cardboard and foam to the desired length, trimmed the outer fabric, and sewed the side back on. 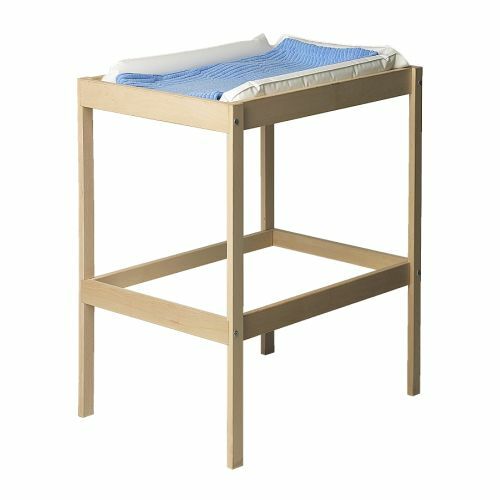 After that, I went ahead and fitted on the same changing pad cover I also got from Amazon (this one), which still fits! Thanks Koko! Haha this IKEA just opened in my city, and everyone is FREAKING OUT about it… myself included. In fact, I just got back from going yet again (I managed to only spend $10!). Love making stuff anyway – it’s more fun. 🙂 Hope you have a great week, too! Can you provide the link to the tutorial, please?! It’s a little hard to see, but in the sentence “After searching the internet (YAY, INTERNET!) I found this tutorial to cut the changing pad to the desired length,” the word “this” is a link to the original tutorial! To be honest though, I didn’t follow that tutorial step by step exactly. 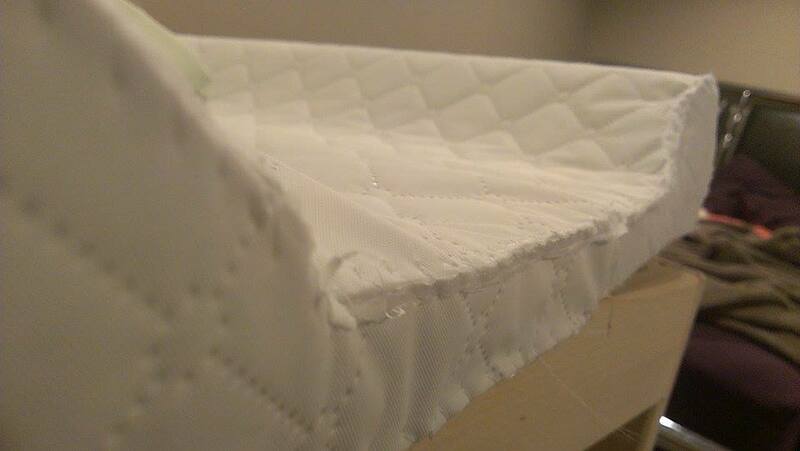 Once you cut open one side of the changing pad, it’s pretty simple from there. 🙂 Plus, it’ll be hidden by a changing pad cover anyway, so it’s not even super necessary to sew the side shut. 😉 Let me know if you have any other questions!